America’s favorite summer dessert…without having to start a campfire! 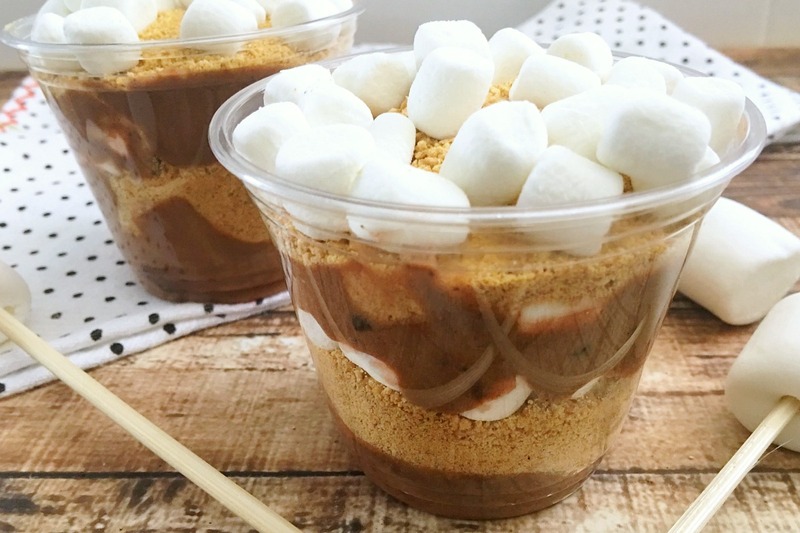 This pudding cups make with Oreos and graham cracker crumbs are just perfect. Summertime dessert perfect. Just mix up the thawed cool whip with the pudding and some crushed Oreos. Such a scrumptious summer snack. In a large mixing bowl, beat together the pudding mix and cold milk, then set in the fridge until soft set, about five to ten minutes. Next, scrape the frosting off 10 Oreos, place the cookies into a Ziploc bag, and crush using a rolling pin. 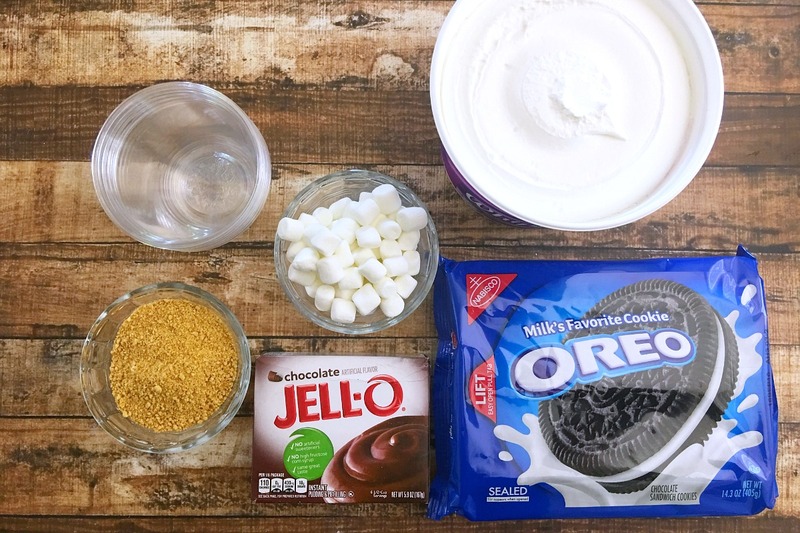 Mix the whipped cream topping and crushed Oreos into the soft set pudding. Scoop half of the pudding mixture into the bottom of 10 small clear cups. Then layer half of the graham cracker crumbs on top of the pudding. Next, layer half of the mini marshmallows on top. 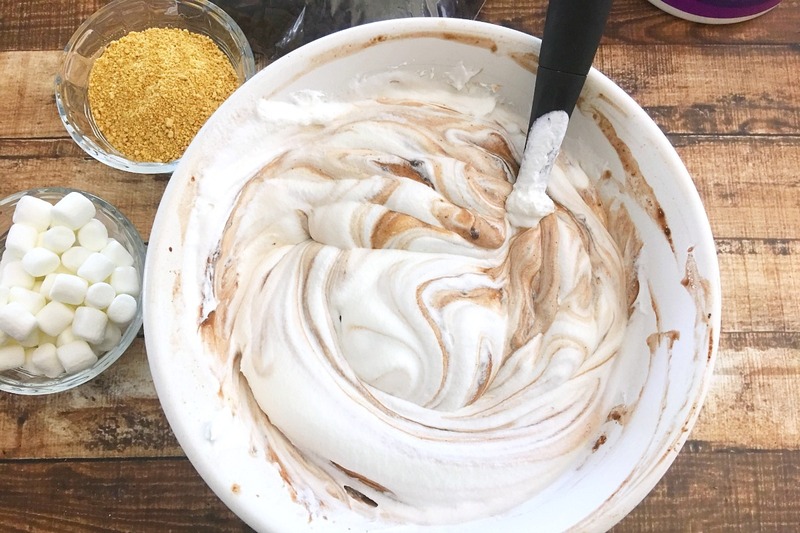 Repeat all the layers with the remaining ingredients: pudding mixture, graham cracker crumbs, and finally the mini marshmallows on the top. Store in the fridge if not serving right away. 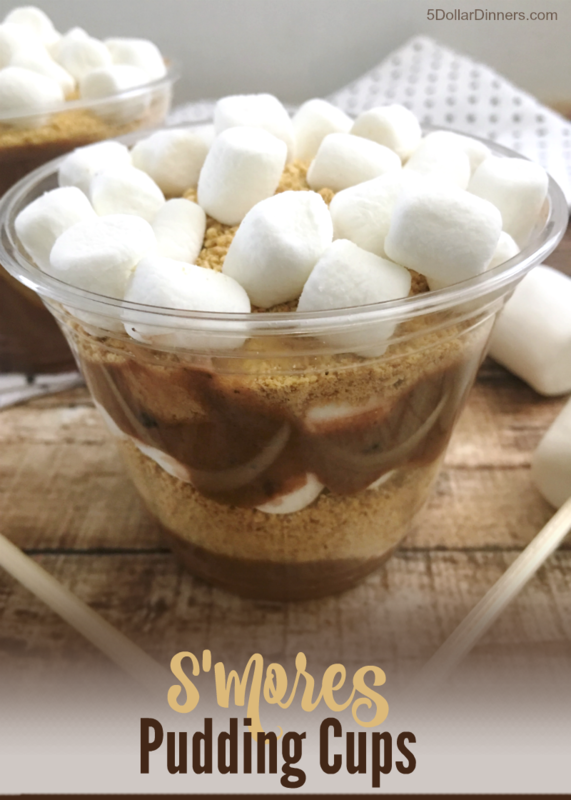 Serve S’mores Pudding Cups and enjoy!